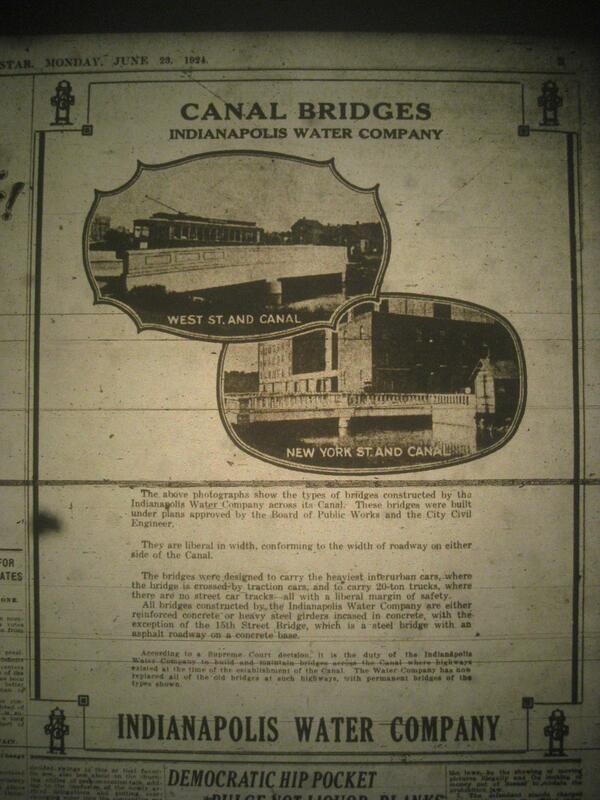 Though Wiegand’s and Bertermann’s operated their Indianapolis floral trades for decades, some were not so lucky, nor so long-lived. 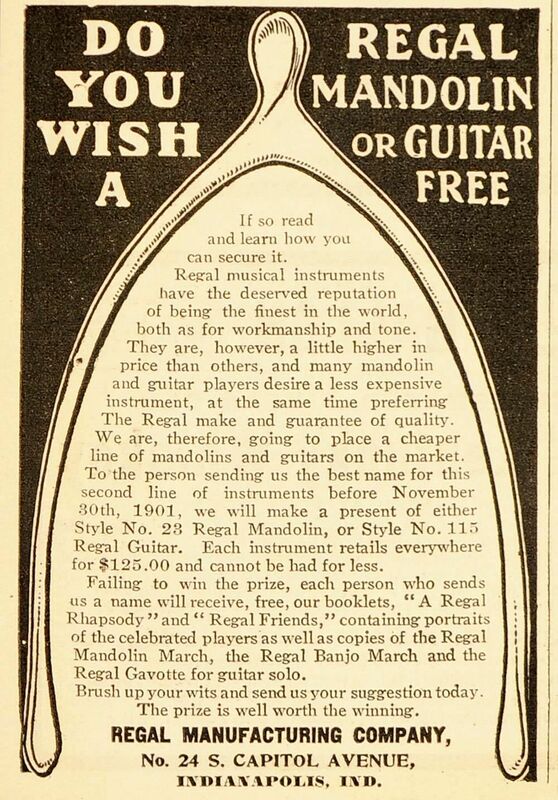 One such business was tucked into a small space on the northeast corner of Ohio and Illinois Streets. 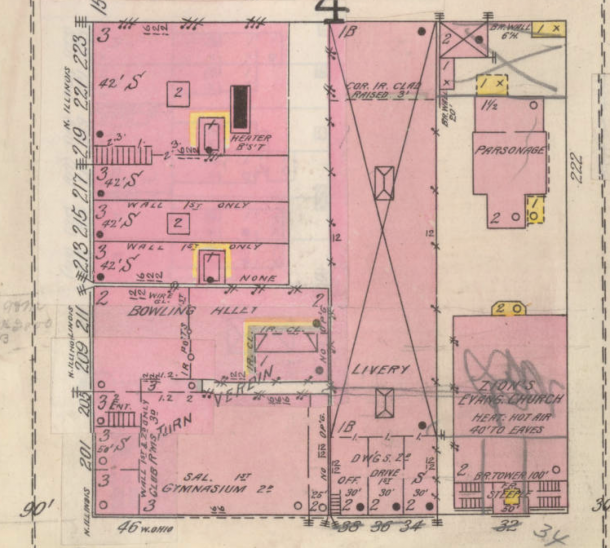 The Billingsley Flower Shop debuted in the late fall of 1898. If you operated a flower shop before the invention of air conditioning or refrigeration, you’d probably do the same. Who wants to peddle melted flowers in a moist summer heat? 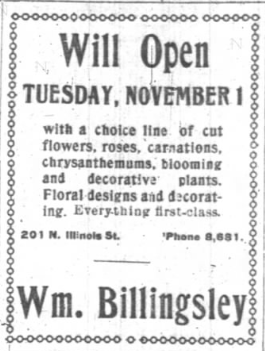 William Billingsley opened his floral shop in the fall of 1898. Wouldn’t it be fun to go back in time and visit a Victorian flower shop? 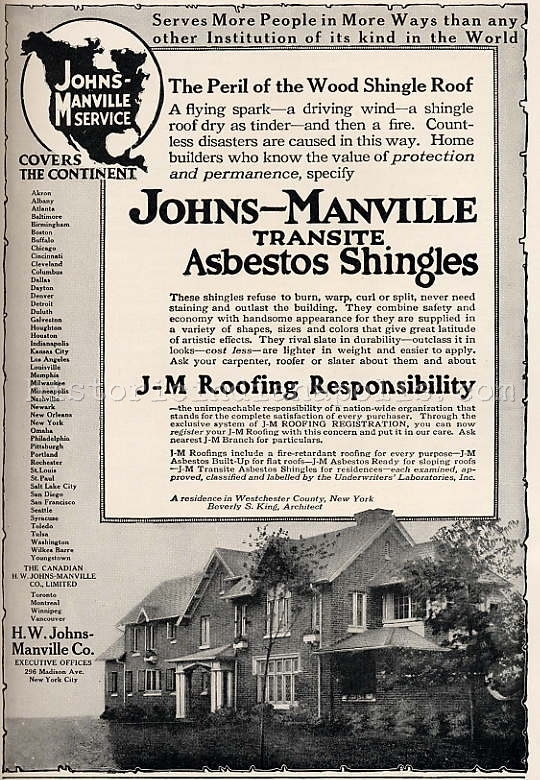 Were the flowers of yesteryear more fragrant than those of today? How big did they get compared to today? Were the colors and shapes different? 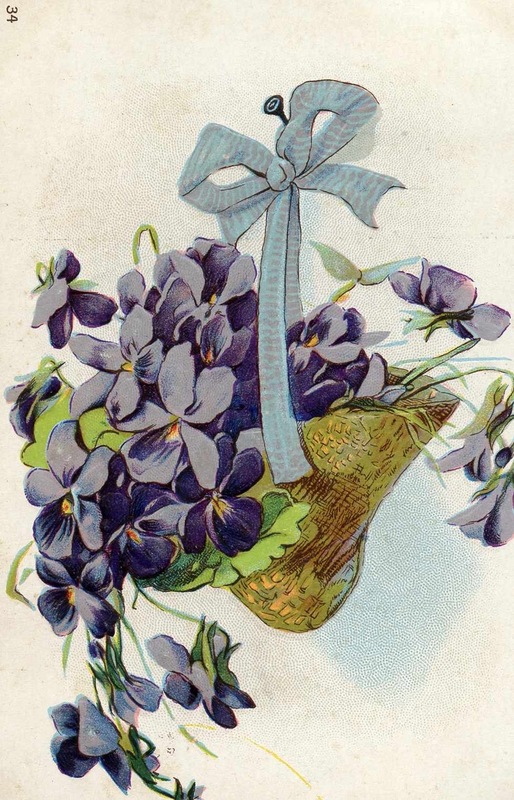 Flowers played a large role in the lives of Victorian Americans and Indianapolis was no exception. At the very least, the scent of flowers helped ward off the offensive smells of daily Victorian life. In 2017, a can of febreeze will do the trick. 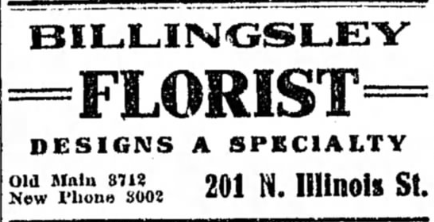 Billingsley Florist operated at 201 North Illinois Street from approximately 1898-1908. This image of a vintage post card shows off the display at Billingsley’s. 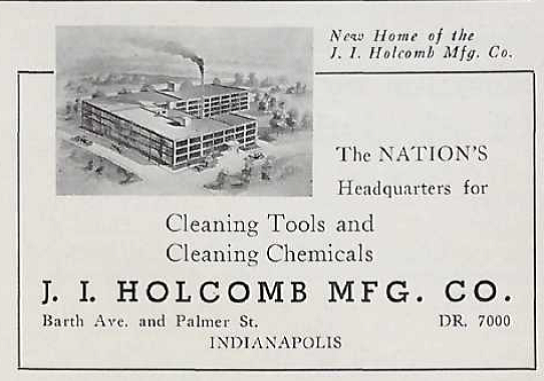 This classified ad shows that Billingsley’s Factory stood at 2151 North Rural Street, no doubt delivered to the corner of Ohio and Illinois by horse. How long did flowers last in Victorian times, without the aid of refrigerators to keep the stems cool? Anyone know? What is your favorite flower and who is your favorite local florist?